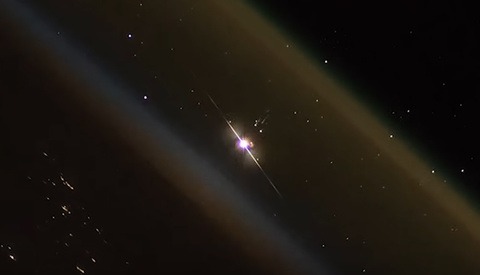 They have been done before, but time-lapse videos of rocket launches are always stunning. 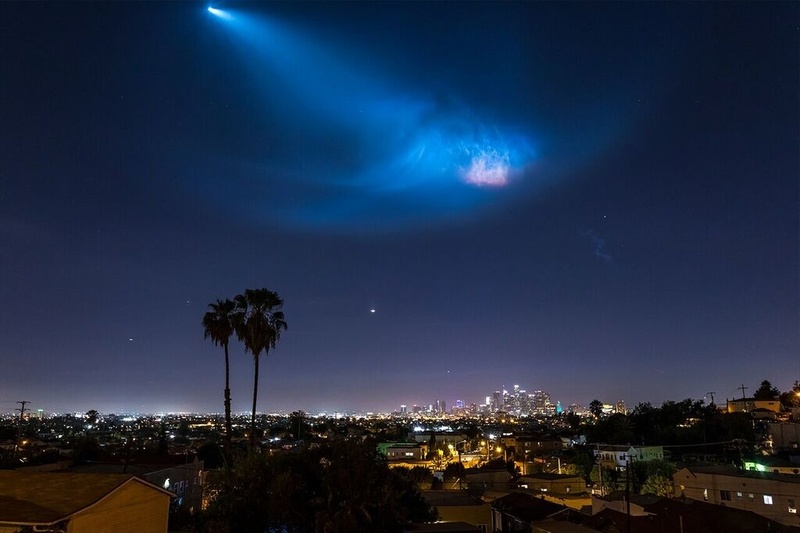 Recently, photographer Emeric Le Bars captured the launch over downtown Los Angeles. What Was The Rocket Launched? @spacex Falcon 9 taking off above Downtown LA. Shot at 1 second interval alongside @rajajavid and @la_reflections! The launch captured in the time-lapse features the latest variant of the SpaceX Falcon 9 rocket. The block 5 was introduced last May and comes with a bunch of improvements like increased payload and engine thrust. 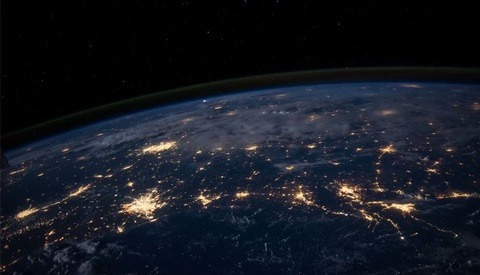 The rocket took off from Vandenberg Air Force Base, 140 miles northwest of Los Angeles. The booster (first stage) of this particular rocket was already used on July 25 to deliver 10 Iridium NEXT communications satellites into orbit. This time, the Falcon 9 was commissioned by Argentina to put its Earth-observing satellite, SAOCOMM-1A, into space.The launch was a success, and the first stage of the rocket came back on its landing pad LZ-4 at Vandenberg minutes after liftoff, while the orbiting stage was soaring into space. What Creates This Visible Cloud in the Sky? 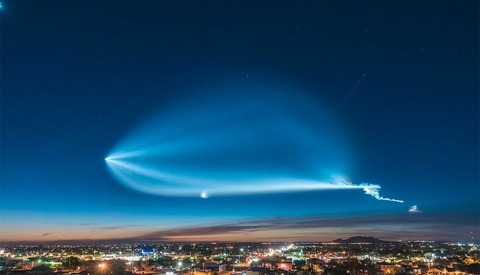 Simply put, this light show is called a twilight phenomena as the smoke, unburned fuel, and condensation of the rocket is caught in the high altitude sunlight. 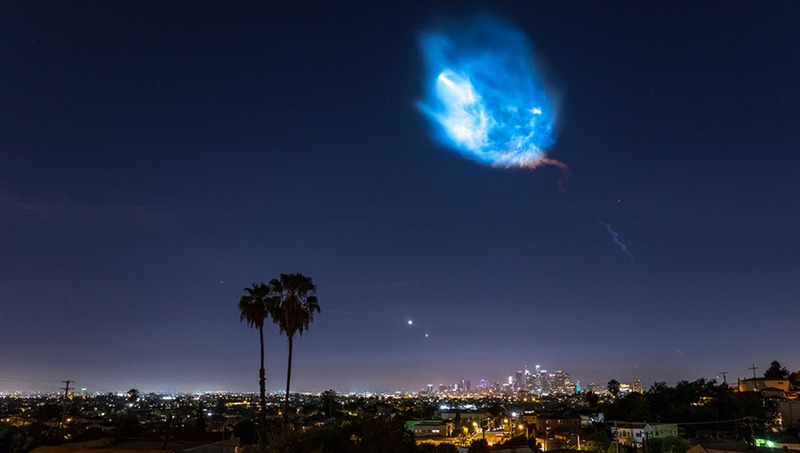 Because the rocket was launched after sunset, the sun was still illuminating the higher part of the atmosphere due to the curvature of the earth, while night had already fell on Los Angeles. Finally, the strong winds at high altitude can spread the exhaust debris across hundreds of miles, creating a massive light trail. The video clearly shows the stage separation between the booster (reusable) and the orbiting stage (non-reusable). As the stages separate, the booster turns around for landing, while the orbiting section of the rocket continues its course into space. How Did the Photographer Capture This Time-Lapse? Mr. Le Bars admitted that he hadn't done much planning for this video. He says: “when I woke up this Sunday, I actually didn’t know about the rocket launch until someone on Instagram talked about it. So, I decided to go to a spot I knew faced west south-west toward the ocean and where downtown LA was going to be in it.” Eventually, the time-lapse photographer decided to go to a different spot with his friend, Javid. They set up their cameras in City Terrace, which faces downtown Los Angeles and was aligned with the rocket path. Image from Emeric Le Bars, used with permission. I can only imagine how scary it must have been for anyone who wasn't aware of what was going on!